Classic form with modern details. 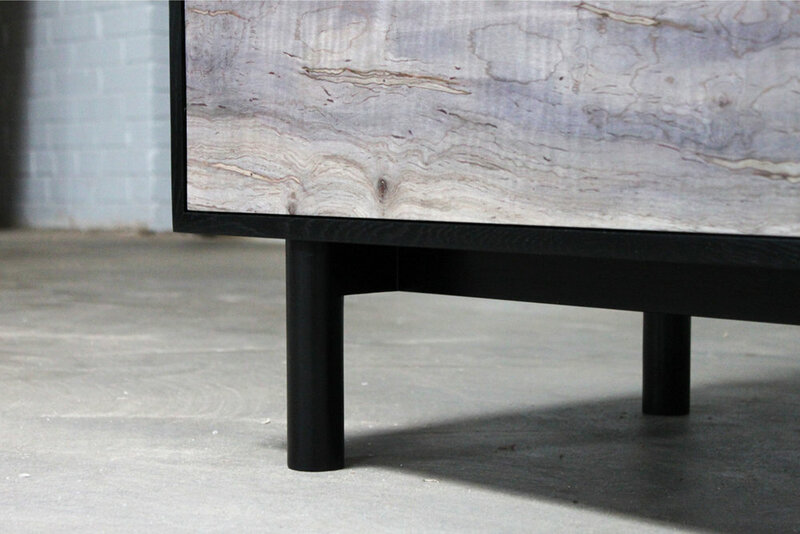 Turned legs, dovetail drawers and blackened steel tab pulls. Case available in walnut, natural oak, oxidized oak, blackened ash or bleached maple. 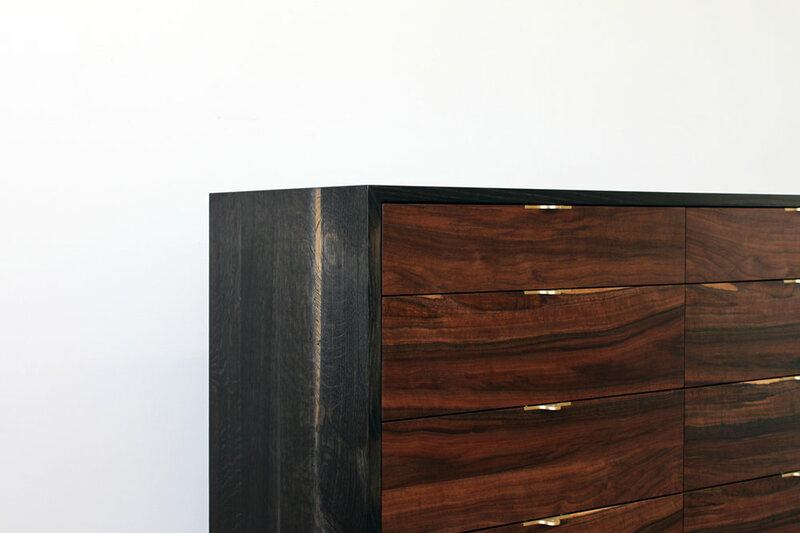 Fronts available in matching finish, claro walnut, oxidized sycamore or oxidized maple.